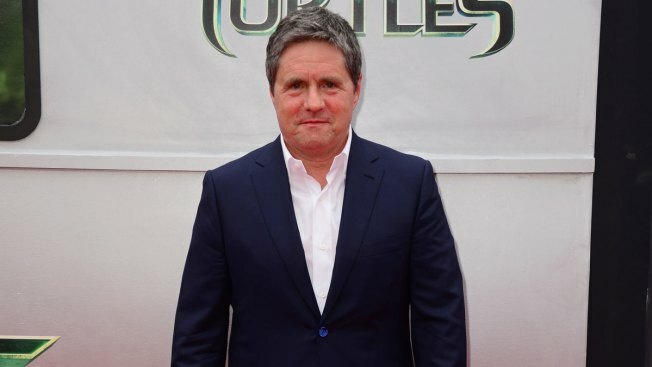 Brad Grey attends Paramount Pictures' "Teenage Mutant Ninja Turtles" premiere at Regency Village Theatre on August 3, 2014 in Westwood, California. The former Paramount Pictures CEO died at 59. Before exiting Paramount in February, Grey oversaw franchises like "Star Trek," ''Transformers" and "Mission: Impossible," prestige properties like "There Will Be Blood," ''No Country for Old Men," ''Up in the Air," ''The Big Short," ''The Curious Case of Benjamin Button" and "Babel," and multiple films from Martin Scorsese including "The Wolf of Wall Street," ''Shutter Island" and "Hugo." Grey also produced Scorsese's "The Departed," which won Best Picture in 2007. During his storied career in the entertainment business, Grey founded the management and production company Brillstein-Grey Entertainment with the late Bernie Brillstein, co-founded the production company Plan B Entertainment with Brad Pitt and Jennifer Aniston, and produced multiple Emmy Award-winning television shows, including "The Sopranos," ''Real Time with Bill Maher" and "The Larry Sanders Show." Director Ava DuVernay, who worked with Grey on "Selma," wrote on Twitter that she had dinner with him prior to the film's release. "G.I. Joe: Retaliation" director John Chu called Grey, "A really good man. Kind & classy and a helluva boss." Among his achievements at Paramount, Grey was at the helm for the release of the top-grossing film in the studio's history, "Transformers: Dark of the Moon," led the acquisition of DreamWorks SKG, and shepherded the distribution agreement with Marvel, releasing "Iron Man, "Iron Man 2," ''Thor" and "Captain America" before The Walt Disney Company acquired Marvel Studios in 2009. Recently, however, the studio had struggled with underwhelming box office receipts for films including "Zoolander 2" and "Teenage Mutant Ninja Turtles: Out of the Shadows," and counted losses of nearly $450 million last year, leading to his exit in February.